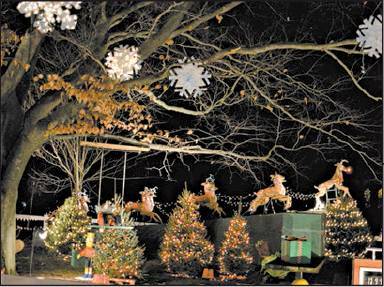 The Camuso Elves gave the West Essex Tribune a preview of the Camuso Display at the Livingston Oval on Tuesday, December 4. Because of inclement weather, opening ceremonies at the Camuso Holiday display, including the Christmas tree lighting, have been rescheduled to this Saturday, December 8. 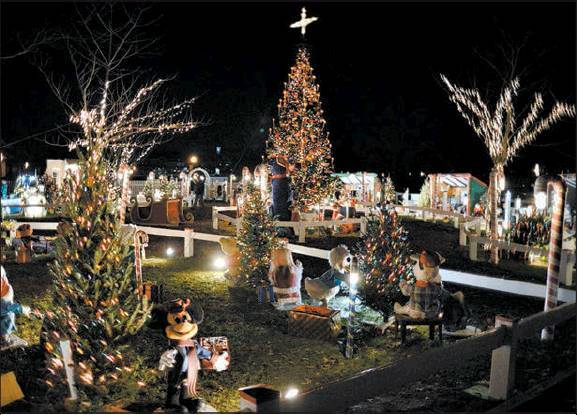 The evening will also include a visit from Santa Claus, sponsored by UNICO, along with Clydesdale horses, family wagon rides, pony rides, and a petting zoo. The following Saturday, the Livingston Fire Department and Livingston First Aid Squad will host an activity night. The display will be open throughout December.